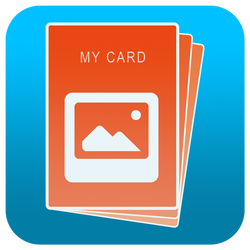 Create and send a card using your own photos quickly, easily and efficiently. There is something special about sending a card to someone. It evokes a sense of warmth and joy. Better still is a card that is personalized, with your own heartfelt message and photos. Send a card whenever you like: Christmas, Easter, Thanks Giving, any occasions or events, and indeed any day and time. This app enables you to do this by leveraging the capabilities of your iOS device. Send a customized card to anyone on your contact list. Use any photos on your device’s photo library or take a new one. Use the information already in your contact list to reduce your typing. You can pick anyone in your contacts and the app will import their name and email address, so you do not have to enter this information again. Use all the wonderful photos you have on your device to create the card. Take a new photo within the app and use that to create the card. Email the card. Once you have created the card, just email it to the person from within the app. You can send the card in either pdf format or jpeg format.